In this week’s newsletter, we have some great news about Evernote, and look at a few ways you can help the new developers who will gain access to the Developer Portal in early June. We shine the spotlight on two apps with the potential to change the world: a data visualizer for urban air pollution, and medical imaging software that surgeons can use in sterile environments. Plus, content navigation with AirReader and a webcam app that has to be seen to be disbelieved. Later this week, we’ll be making an exciting announcement about Evernote’s Devcup Challenge. Leap developers will soon be able to apply and compete for big prizes. Check back in the portal on Friday for full details. In just a few weeks, the Developer Portal will be opened to thousands of new developers. While they will have full access to the forums and SDK, these new developers will not have the opportunity to work with the device until the July 22 launch. As current members of the developer community, we encourage you to welcome the newcomers and lend your support wherever possible. We’re continually amazed at the quality of discussion on the forums, and the code and videos produced by the community. 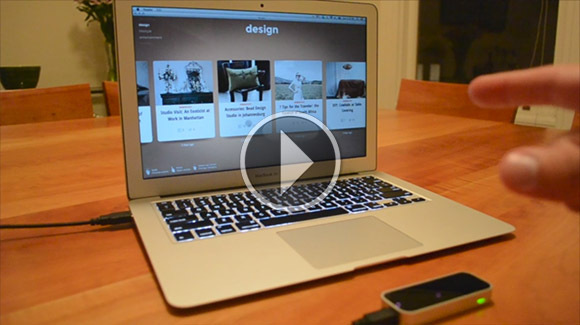 It’s clear that your experience with the Leap Motion Controller has given you valuable insight. More than anyone, you understand the possibilities of gesture-control technology. With your help, new developers can learn alternative UI techniques, get feedback on their beta releases, and understand the challenges of creating intuitive, user-friendly apps. We also hope that you’ll talk about your own experiences – obstacles you needed to overcome, approaches that worked for you. How has your work with the Leap Motion Controller changed the way you think about human-computer interaction? Let us know what you think. Earlier today, glejeune posted a Ruby interface using Websocket, with another interface using the C++ SDK on the way. That got us thinking – what language wrappers are developers most interested in? Let us know on the forums and post your own projects. Gesture control, meet funhouse mirror. 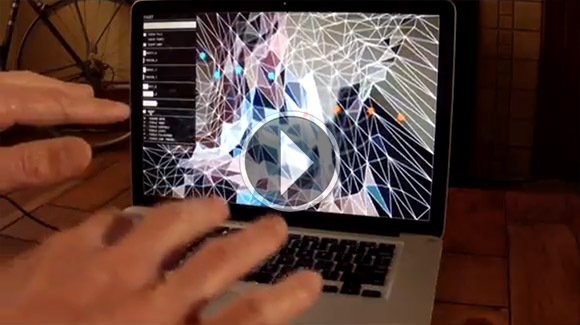 Stephen Braitsch created a project in OpenFrameworks that allows you to manipulate and distort a camera feed with the Leap Motion Controller. In a hospital operating room, any unsterilized surface is a potential source of life-threatening infections. That’s why Scopis Medical created the first-ever surgical navigation system with intraoperative touchless control. It allows surgeons to easily review and change surgical plans in a sterile environment, as well as zoom, scroll, and pan through medical imaging data. Last week, we highlighted AirReader by Huge, Inc. for its efficient and intuitive content navigation. In the video below, you can see the software in action, with a user navigating through main categories, reading specific articles, and adding an article to their list of favorites. Now that cheap, powerful hardware and cloud computing have become ubiquitous, technology is no longer limited by its size, cost, or speed – the only real limit is how we interact with it. The ability to visualize and interact with large data sets is essential. Mike Broindbjerg and his team recently integrated a data visualization project with London’s air data with the Leap Motion Controller, allowing you to navigate the complex mesh of London’s pollution levels over time. We love great discussions on the forums, and we were intrigued by Gerald Terveen’s recent comments in favor of a general and binding “menu gesture.” We’re curious to know what menu solutions work best for your software. Do you think there should be a standard menu action, or does it depend on the individual app? Post your thoughts on the thread. Leap developers will be at this year’s Google I/O, a conference that focuses on building web, mobile, and enterprise applications with Google and its open web technology.